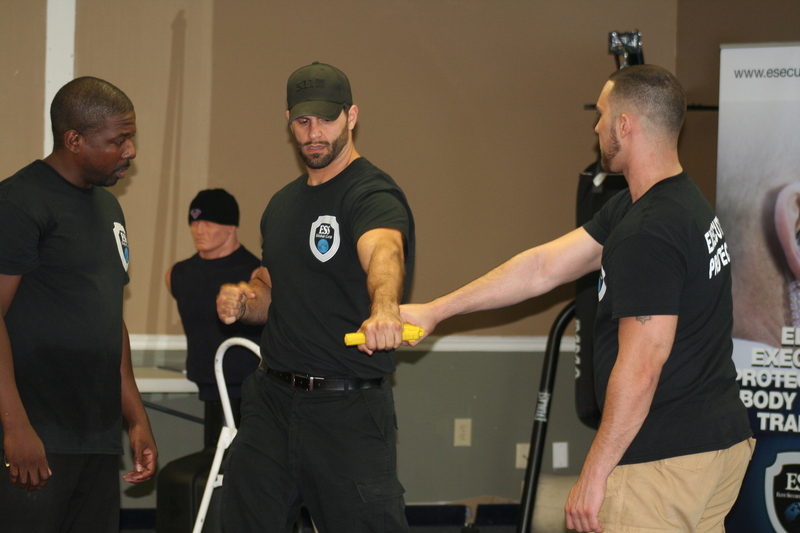 This course takes a look at self defense and hand-to-hand tactics as it relates to Executive Protection and bodyguarding. Our instructors will breakdown various methods of defense in an effort to educate you on how you can better protect your client and yourself. You are no good to your client if you are hurt or injured. 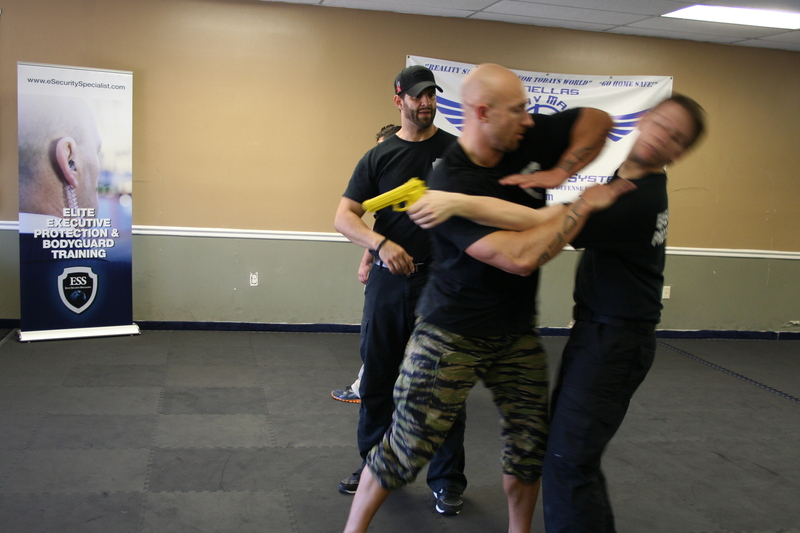 In this course, you will be taught how to defend yourself and your client when you are either armed or unarmed. You will also be taught how to fend off attackers that are either armed or unarmed. And finally, most importantly, you will be taught how to administer proper body cover to your client during an attack and evacuate them quickly to safety. Body cover is exactly that, using your body as a shield to cover and protect your client. Remember, you are being paid to protect your client at all costs! This class is an absolute must for those that are serious about entering the Executive Protection or bodyguard field. Please ask us about our group rates, private classes, referrals and discounts for: military, law enforcement, firemen, EMT/ paramedics and security officers with either D or G license. Financing/ Payment Plans now available!! !